Avalanches of various size happen on a daily basis in large areas of the Swiss alps during winter, and can affect people and infrastructure. Permanent audio microphones are thought of a cheap way to detect and locate when an avalanche happend. 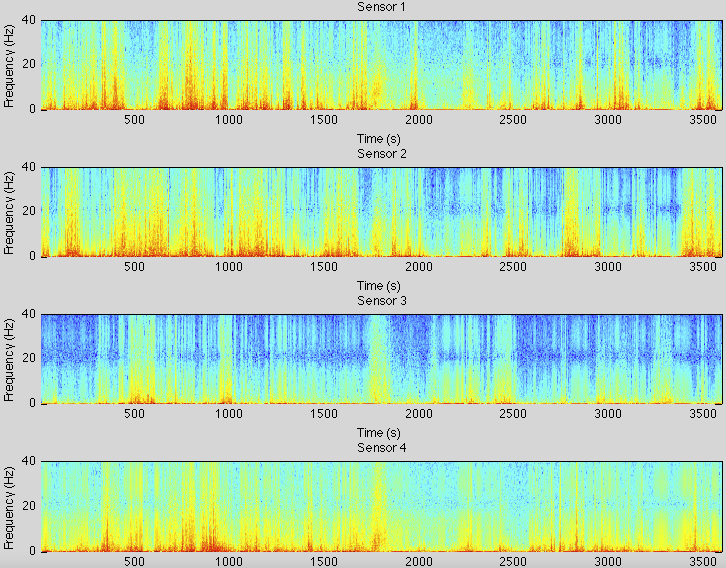 However, the such audio data is extemely noisy e.g. due to strong winds. Also, false positives/negatives are costly due to necessary human checking in remote areas. Output of the SVM classifier for each second (work in progess, no smoothing applied yet). The upward "outbreak" in the middle of the time window correctly marks an avalanche that was happening at that time. Joint work with Lorenz Meier.